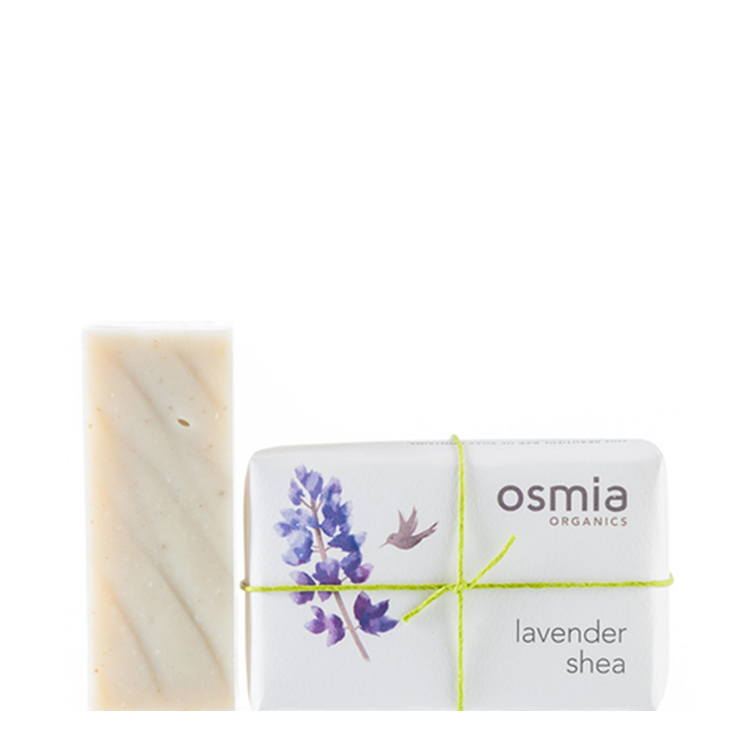 Lavender Shea Luxury Body Soap by Osmia will please the whole family with a blend of multi purpose and pure ingredients. Getting clean with this stunningly simple and perfectly pure bar of soap, scented with Bulgarian lavender, is the minimalist's dream. Enriched with ingredients like olive oil, shea butter and coconut to make skin feel silky soft, this organic soap will leave your skin feeling clean, nourished, and moisturized. Apply daily as needed. Using a loofah or natural towel, apply liberally to create a luxurious lather. Can be applied to both body, feet and hands. To extend life of soap store on a soap saver away from excess water.